A central role in his life and work of Tsolak belongs to the family. In particular, the Armenian family traditions, which play an important role in the preparation of his works. The subjects of his ceramic murals become a centuries-old national traditions, such as respect for elders, the strength of the marriage, the castle and the breadth of kinship, mutual help and hospitality. In addition, different seasons dictate their creative style and activities. He prefers painting during the summer months, and doing ceramics during the winter months. 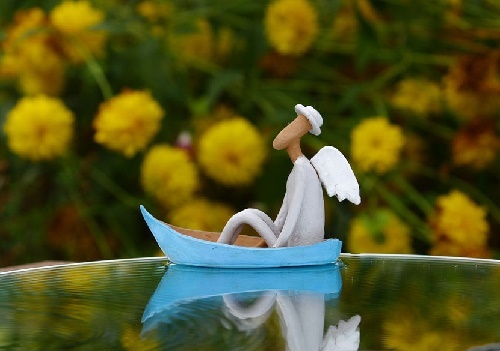 Nevertheless, for the ceramics he has more passion than for painting. Besides, he believes that working with clay is more relaxing and meditative. 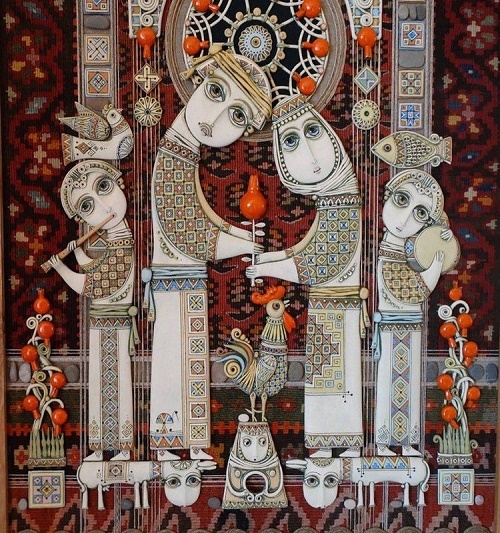 In his works harmoniously combined various techniques and materials – ceramic figurine painting, using such elements as yarn or tapestry. Irina Tyulneva lives in the village of Chervishevo 22 km from Tyumen in a big house full of children, cats and dogs. In a creative world of art she is a beginner. Irina finds inspiration in her surroundings: farmland, river, forest, her children, lullaby at night, cat sitting on the windows, poplars in her street, bench in her garden, the patterns of frost on the non-plastic windows. These simple things so dear to her turn into creativity. Ceramic artist Irina Tyulneva is a mother of three beautiful children – a daughter and two sons. For her, it is important to invest meaning into the work, to engage not only the hearts, but also the thoughts of viewers. The biggest of her work made in clay – the goddess of joy and laughter, as tall as a man. Irina Tyulneva is in a world of good. Something elusive sets her apart from everyone else. She is very talented, and works have a soul. Makedonska Ceramic Art is a family business run by Bulgarian ceramic artists Blagovesta and Aleksandar Makedonsky. The artists have created a gorgeous collection of unique ceramic tiles. 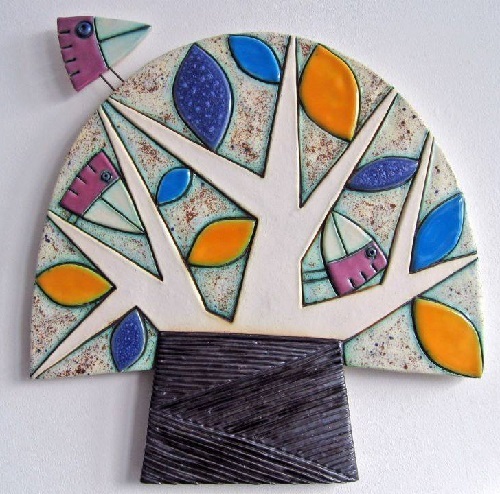 Their colorful ceramics – hand painted enameled tiles, wall clocks, figurines and sculptures. Ceramics, if not broken, can be stored for thousands of years! Any plate can be a message to eternity! Makedonska Ceramic Art unique tiles can be used anywhere – in the kitchen, as the wall plates; in the living room as a piece of furniture; in the nursery as a panel; in the bathroom as a set for washing, in the interior of cafes, clubs and restaurants as an art objects, and so on. Blagovesta and her husband Alexander live and work in Sofia, they exhibit their artworks throughout Bulgaria – in Sofia, Plovdiv, Varna, and sell their ceramic creations on Etsy (Makedonska Ceramic Art shop). About the world famous jeweler Dashi Namdakov and his masterpieces I wrote in one of the previous publications. No less talented are the other members of his family – his parents, brothers and sisters, all of them are the brightest and original artists. 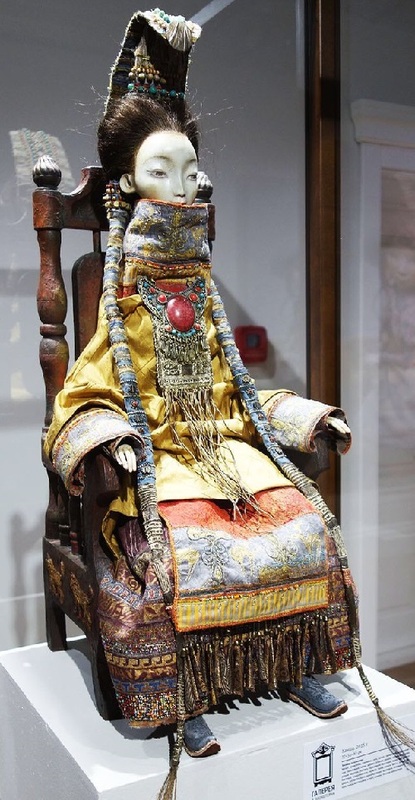 This post is about their unique collection of dolls with the distinctive features of thousand-year-old Buryat heroic epics. Relatives of Dashi began creating dolls more than 10 years ago, the first doll appeared in 2005. Total created more than fifty dolls, and they are sold to private collections. Dolls – mysterious characters of ancient legends and traditions, designed as sculptures, in stylized national costumes and historical attributes of the Buryat epic. Each doll is unique, there is no similar, everything is made by hand, including the patterns on fabrics. The figures are static, but each of them has a certain character and a refined attitude – typical plastic. Onсe upon a time, a bright sun woke up earlier than usual and decided to see how beautiful the Earth is. So, looking here and there, it dropped golden rays on the earth. And in the place where the beam touched the ground, grew a dandelion. Since then, dandelion is so loved by the sun, that it still looks after the delicate sunny flower, warming it with its rays. Ceramic floristry is part of life of Moscow based artist of decorative art, florist, jeweler and craftswoman Natalia Nevrova. 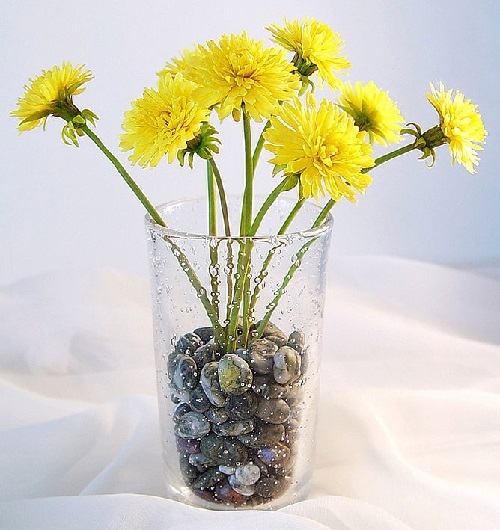 Creating realistic flowers of polymer clay is a favorite hobby, to which, according to the artist, she “unfortunately can’t give enough time”. Natalia is also interested in creating jewelry from semi-precious stones, hair ornaments with flowers of polymer clay. In the State Museum of Art in Georgia there is an interesting, memorable section dedicated to ancient metal-plastic, enamel, and jewelry. Long you can stand in front of a triptych, carefully considering the salary of gold, decorated with enamels of various ages, and of course, stunning jewels. While other exhibits eloquently talk about the heyday of ancient Georgia in plastic, metal and enamel art. And one of the leading enamel artists of the country is Mikhail Tsalkalamanidze. He used to come here, anxiously stopped before long been familiar icons, medallions, and salaries of ancient manuscripts. 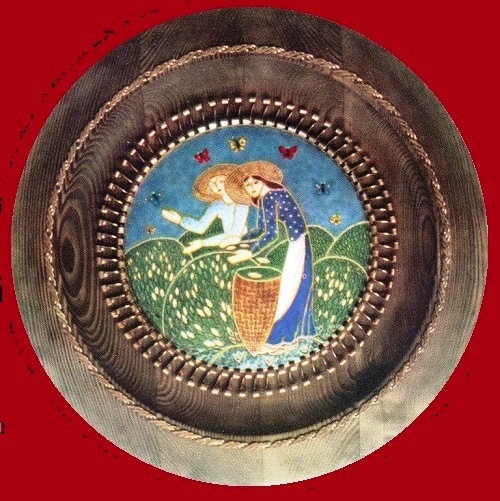 They noticeably helped in the study of the fruitful work of Georgian enamel artists, who developed national traditions, shared skill secrets, technology features and artistic techniques that have their roots in the distant antiquity. Handbag made of Italian velvet, color of cranberry juice. 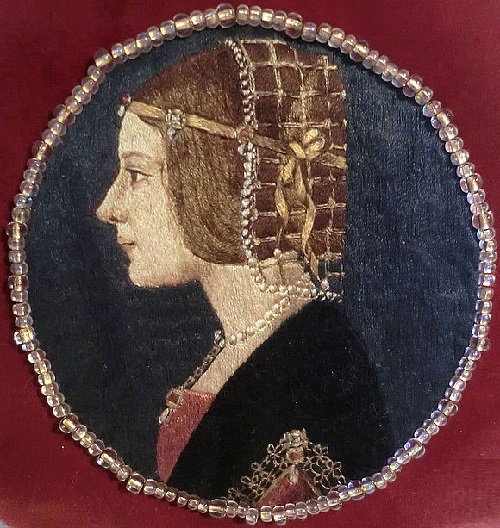 Decorated with a portrait of Beatrice d’Este, the lawful wife of Ludovico Sforza, work of Renaissance painter Giovanni Ambrogio de Predis (c. 1455 – c. 1508), about 1490. Fine Embroidery art by Maria Vasilyeva. Maria Vasilyeva is an artist by training, but once completed courses in embroidery and work with textiles in all its forms fascinates her the most. Marina is engaged in various kinds of arts and crafts using natural knowledge and skills in the field of art. The artist works in the technique of batik, beading, felting, embroidery, knitting, tapestry, design, painting, weaving, graphics. Maria is a talented master, whose fine workmanship and artistic taste is comparable with the old masters. Maria’s creations have a soul, which she puts into each of her creation, whether it is a purse, a brooch, or a panel. Maria lives and works in the northern capital of Russia – St. Petersburg.